From CPA to CBO, being open to good guidance, following my intuition, and taking chances have allowed me to create a rewarding, though not always predictable, career path. My experiences as a university business officer, in particular, have helped me reach a holistic understanding of leadership—one that remains porous to the unexpected, especially as it relates to the complexity of human emotions in the workplace. Although I had my sights set on an eventual career in the nonprofit sector, my father, friends, and colleagues encouraged me to enter the private sector first and learn as much as I could before transitioning to nonprofits. I started my professional career as a CPA at the accounting and consulting firm Deloitte, where I had an array of clients in both the for-profit and nonprofit business sectors. I knew that there was something in the nonprofit sector that I found endurably appealing, but I wasn’t actually considering a job in higher education. Instead, I was looking into careers at airports, hospitals, and schools. That all changed in 1992 when I got a call from Cedar Valley College—a small institution in Lancaster, Texas, and part of the Dallas County Community College District—to interview for its CFO position. Given that this was my first opportunity to work in higher education, I was fortunate to have a seasoned financial and business mentor in former Vice Chancellor for Business Affairs Ted Hughes—someone who let you swim in the deep end, allowed you to struggle so you could grow, but never let you drown. When I expressed an interest in pursuing a master’s degree, it was Hughes who recommended that I get a degree in a field other than business and finance because he believed that my career would be better served if I rounded out my education. In the end, I earned a graduate degree in public administration. I was thus prepared for my next role as the associate vice chancellor for the Dallas County Community College District—which took me from a small college to a comprehensive, systemwide perspective that included 60,000 students. This in turn, prepared me for the position of associate vice president and ultimately controller at the University of Texas, Austin, and my current role at Texas Christian University (TCU), Fort Worth. My experiences in public accounting primed me for a career in higher education. As a CPA, I had worked with a wide variety of both businesses and nonprofits, from manufacturers that used high-tech principles and organizations with clearly defined roles, to nonprofits that were facing myriad challenges. Similarly, as a college CFO, I had stepped into a role that was responsible for resolving issues in a variety of areas—budgeting, marketing, and technology—everything you could imagine a small institution might be facing. I found myself drawing from my diverse experiences as a CPA to help me through my first years in higher education at Cedar Valley College. Some of the client organizations that I worked with at Deloitte were very sophisticated and taught me about companies with parent and subsidiary relationships. I also noticed that each organization’s people and culture greatly impacted its success. Experience with these complexities helped foster my professional resilience. I came to understand that a company’s people and culture are not necessarily defined by their industry, but are shaped by organizational leadership. When I moved to higher education, I noticed the same dynamic. In this respect, it did not feel like I was in a different industry. One of the greatest aspects of higher education is that there are so many people who are willing to mentor you and give you guidance. I gained insight from so many colleagues with substantial higher education experience, but by far the most impactful was the former president of Cedar Valley College, Carol Spencer. My new and varied portfolio of responsibilities included the physical plant, human resources, budgeting, accounting, and institutional research. Regardless of whatever doubts or challenges I had, Spencer appreciated my financial knowledge, truly believing that my native financial skills were essential to doing the job well and that, with her personal and professional support, everything else would fall into place. Eventually, I began to adjust to the pace of my new responsibilities and achieve some of the goals with which I was tasked. Over the years, Spencer’s counsel certainly proved true, and by providing a fresh perspective of my own, buttressed by my experiences as a CPA, I was able to offer original solutions to some of the issues the college was facing. For instance, as the smallest college in the Dallas County Community College District, in many ways Cedar Valley College was resource challenged, so we applied our creative resources to our marketing efforts to attract attendees and increase enrollment. The college had about 2,500 students when I started, and today enrollment is up to 7,000 students. As I progressed through the years in higher education leadership and eventually came to TCU, I began to understand the importance of emotional intelligence. Being aware of how people, including myself, are feeling in a particular situation is an intangible skill. I have been fortunate at TCU to work with Chancellor Victor J. Boschini Jr., who has helped me sharpen these skills. The chancellor sets a strong example for his leadership staff by remaining personable and approachable, demonstrating the very culture of connection that defines TCU. Chancellor Boschini believes that building good relationships results in good governance and that the more time we invest in one another, the better we will be at our jobs. His mantra to new leaders is to use the first year in your role to listen, learn, and understand the variety of viewpoints at play in the workplace. This was hard for me at first. I was so preoccupied with my many responsibilities that I wasn’t a very good listener. Boschini encouraged me to get a personal coach, which turned out to be a definite turning point for me. Together, my coach and the chancellor guided, supported, and challenged me to approach complex situations with a listening ear in order to understand the positions and perspectives of others more deeply. Specifically, for myself, I’ve learned to read myself better, to notice how I’m internalizing the difficulties of a given project, whether that’s a major construction project, or a specific financial or organizational challenge. When I begin to understand how I’m viewing a problematic project that my colleagues and I are working through, then I can apply that understanding to others in an effort to understand how they might be perceiving that project. How do the obstacles that I’m seeing and sensing compare to the obstacles that others are seeing and sensing? Are these obstacles causing emotional, personal reactions that are supporting or detracting us from our common goal? It is important to understand what it is that has an individual frustrated. What is the mental block that is keeping someone from making progress on his or her goals and accomplishing them? Maybe a supervisor is telling him or her not to pursue a certain activity or path, or perhaps he or she can’t reach a decision? So many of us want to go, go, go all the time, but at that pace it’s easy to lose perspective and miss what’s really happening. When you take the time to tune in and understand the locus of frustration and how someone is internalizing it, that’s when you can begin to make headway. By unpacking how people feel, you begin to comprehend something essential about what is shaping the collective perception of the project at hand. This practice allows you to see more holistically the barriers and solutions to what you’re trying to achieve, taking you beyond a project management point of view and right into the pulse of an organization. Of course, there are many authors and consultants who can offer much more than I can on this subject. For my part, having one-on-one time with my coach helped me enormously. Our work drew from the Arbinger Institute’s literature on self-deception, which emphasizes pushing yourself to see the views of others without criticizing their views. This is hard to do in practice. But if we challenge ourselves to appreciate where other people are coming from, then we begin to exercise more empathy and improve our connections with others. Failure is actually an integral part of the exercise. Noticing that you are not hearing and understanding the views or reactions of others is part of the process, and ultimately a launchpad for becoming more self-aware. Once you begin to develop a sensitivity to when you are failing the practice, not failing becomes easier. Recently, a colleague of mine was struggling with some workplace angst, and we worked on his struggle from the inside out. I asked him to look back five years and compare where the organization was then to where it is today. We both agreed that the organization is much better off under his leadership. When I asked if all that progress happened in the first or even second year, we concluded it was a continual climb over the past five years. Then I asked him to look forward and think about what he was trying to accomplish, how he felt about it, and what he saw as some of the barriers. Did he think those perceived barriers were completely prohibiting progress, or, when considered in light of his experiences over the last five years, did he think they may actually be a series of switchbacks ultimately taking him up the mountain? The last 20 years in higher education have taught me that progress is rarely a straight line. BRIAN GUTIERREZ is vice chancellor, finance and administration, Texas Christian University, Fort Worth. When I begin to understand how I’m viewing a problematic project that my colleagues and I are working through, then I can apply that understanding to others in an effort to understand how they might be perceiving that project. By unpacking how people feel, you begin to comprehend something essential about what is shaping the collective perception of the project at hand. This practice allows you to see more holistically the barriers and solutions to what you’re trying to achieve, taking you beyond a project management point of view and right into the pulse of an organization. 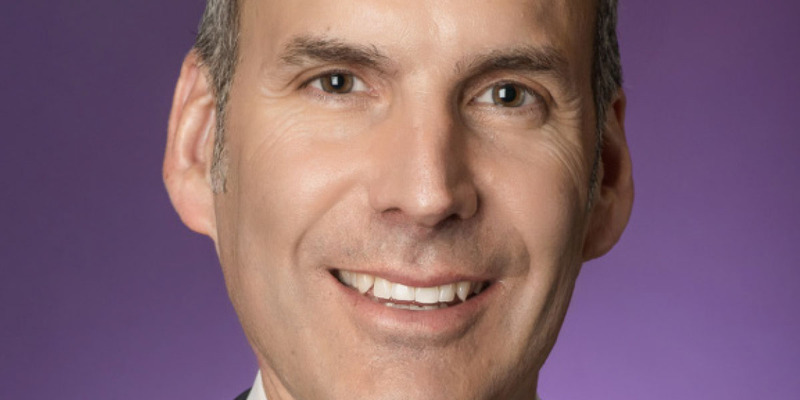 Brian Gutierrez, vice chancellor, finance and administration, Texas Christian University, Fort Worth, discusses how remaining available to the unexpected and honing his emotional intelligence have shaped him as a leader.